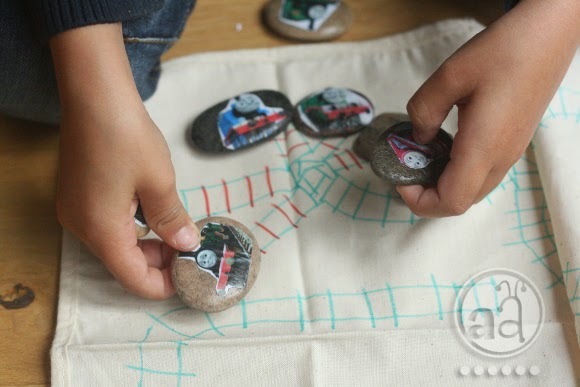 thomas and friends and everything engines and trains and tracks is still a favourite here! we have a huge set of train tracks of various brands (but all wooden ones that are compatible) and quite a few of the thomas and friends characters as engines. but of course, there are always new characters to catch up with, fall in love with and ... want! i have noticed for many months now that our little man needs very little to play. he is content with just some very few items and uses a lot of imagination. while out and about or whenever he does not have something to play with that he can hold in his hand, he will use his fingers instead. which gave me an idea. i found the perfect way of adding lots of engines to our collection. it's low budget and it takes away minimum space. i printed out pictures of the engines spencer likes most from the official thomas and friends website. i then stuck them to flat, smooth rocks with gel medium, and covered them with a coat of gel medium, too. with some textile markers i drew a few train tracks onto a blank cotton placemat. i then sewed a little bag to put everything in, making it the perfect "on the go" toy. the idea was a great success! sometimes we don't even take the whole bag with us, but a few current favourite engines are tucked into the pocket to hold and play with while out and about! 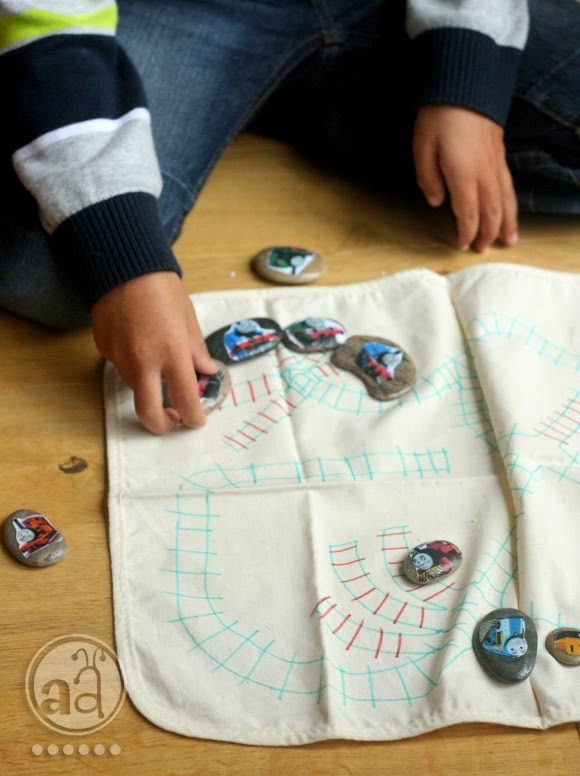 i always thought story stones are wonderful for imaginative play, and i'm so happy i found a way to combine them with one of my little man's passions! i love the idea and love even more that he's creative enough not to need more items to stay entertained! 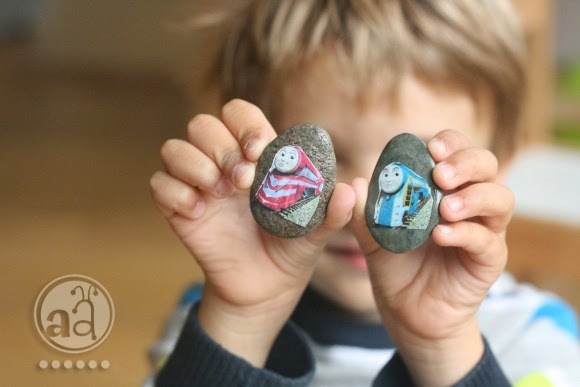 my son loved thomas the tank engine and I would have never thought of such a nifty idea!